Where to find more growth tools? In this list you’ll find 30+ growth marketing tools, extensions and plug-ins that I use in my work or which I would advice to my clients. These tools will give you new opportunities in your sales and marketing and will make your work a lot easier! There are hundreds of growth marketing tools in the world, but these are the most important growth tools that you should know. Let me know if you miss something! Dux-Soup is the #1 growth hacking tool for B2B marketers who work a lot with LinkedIn. DuxSoup gives you the opportunity to automate your LinkedIn marketing. You can automatically view profiles, send people invites or send messages based on the characteristics of your ideal customer. But beware: nobody likes spam, so make sure you come up with a relevant message if you bother someone. An alternative to Dux-Soup is the chrome extension LinkedHelper, but I still prefer Dux-Soup, because it is a Dutch startup. Just kidding. I prefer their interface, which feels more natural. 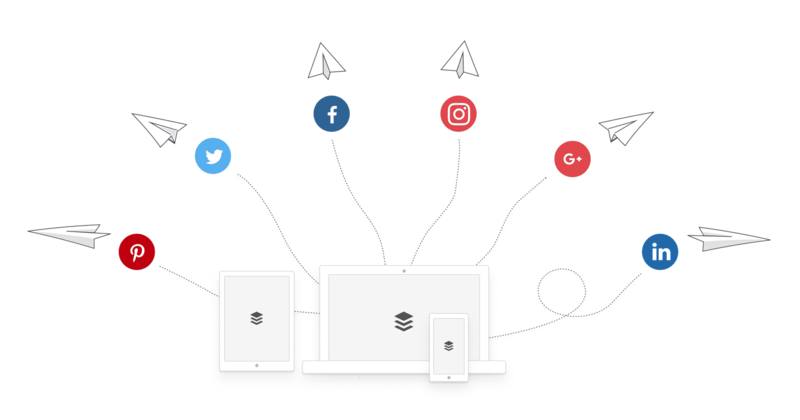 Zapier is a must-have for every growth marketer. 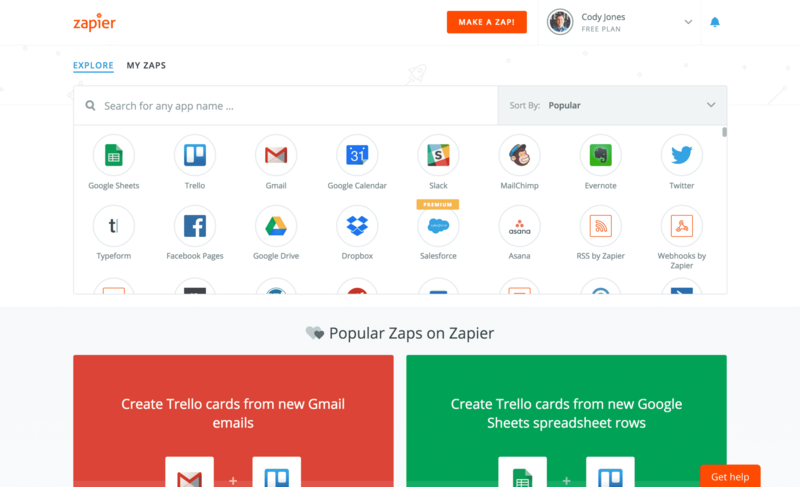 Zapier is a tool that connects 1,000+ marketing tools to each other to create powerful automations. For example, you can automatically record all your Typeform respondents in your Mailchimp account, or you can, like me, place all your favorite Pocket articles directly on your WordPress website via Airtable. Automating your tasks can make you so much more productive, and that’s why I had to mention Zapier in our list of tools for growth hackers. CrystalKnows helps you to understand others better. Based on a person’s social profile, Crystal gives you a personality profile and tips on how to best interact with this person. Is this person more interested in numbers or in emotions? Does this person prefer to communicate in a businesslike way or rather a more personal tone in your e-mails? Very useful and largely free tool! Chatbots were the hottest trend in 2018 and the tool Landbot gives you the possibility to quickly and easily create your own chatbot. Fantastic to show to your boss and colleagues, and it is very effective as a FAQ bot or instead of a boring contactform. If you want to raise the bar a little higher and create a Facebook chatbot, you can check out ManyChat or ChatFuel. Colibri.io is a tool for monitoring the internet. It gives you an idea of what people are saying about your product or any self-chosen subject, and it gives you the opportunity to approach these people. You could also take a look at Mention of SparkToro as alternatives. Hotjar is a heatmapping tool. 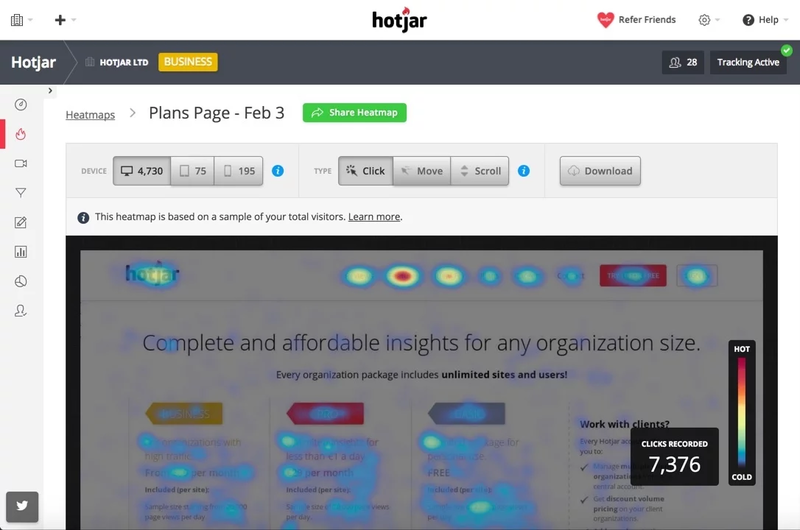 Hotjar gives you great insights into the behavior of your users through heatmaps and recordings of your website visitors in action. I always use Hotjar myself, because the free package is very complete and the most used tool in the industry (that’s a benefit since it can be integrated with many other growth hacking tools). I must admit that there are a lot of other tools like Hotjar and possibly with different / better functionalities, so take a look at for yourself at these competitors: CrazyEgg, ClickTale or Lucky Orange. 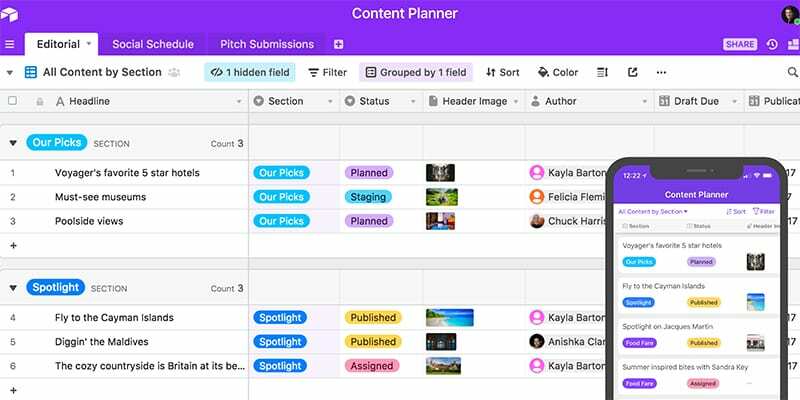 Airtable is a combination of Google Spreadsheet / Excel and a database. It is difficult to understand, but for anyone who works a lot with spreadsheets or data (like most growth hackers do), this tool will come as a great enrichment. For example, you can create smart CRMs or Kanban boards if you integrate it with Zapier. Definitely take a look! “Push notifications” is one of the latest channels in marketing since it became possible to send notifications without people having to download your app. 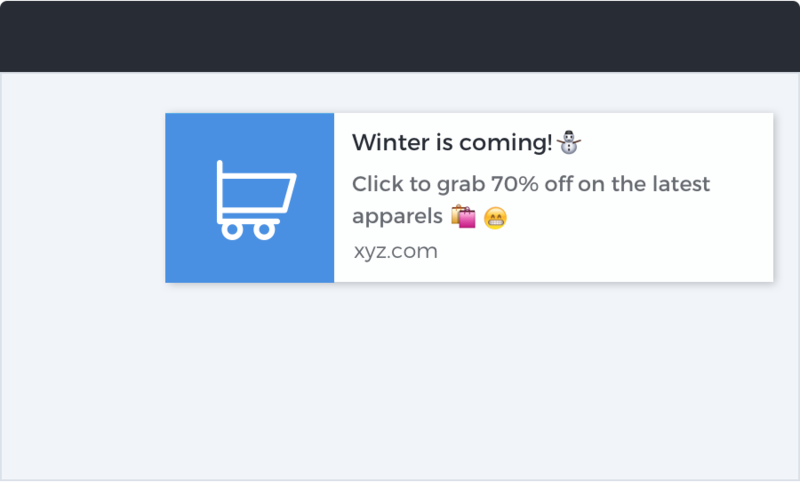 If you install PushCrew on your website, you can send notifications to site-visitors about new offers, new blog posts or keep people informed about their order. Even if they’re not in their browser. Sometimes you know exactly who you want to contact, but you don’t have this persons e-mail address. Rest assured, because there are countless tools on the internet that you can use to retrieve someone’s e-mail. 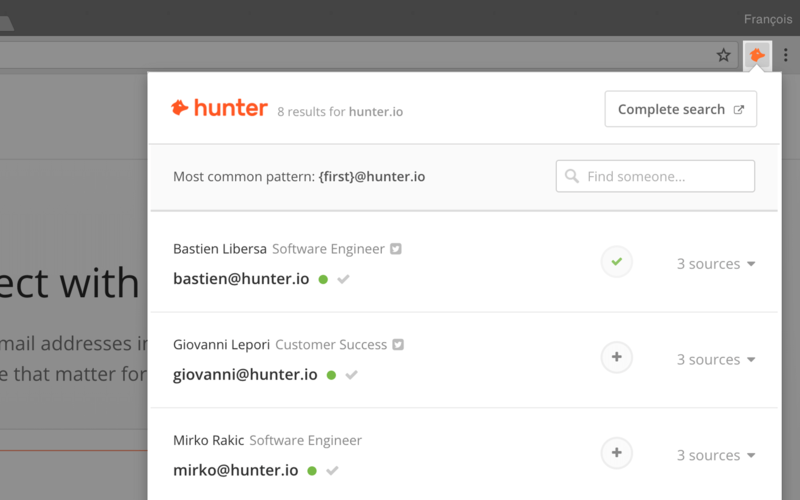 Hunter.io, formerly “EmailHunter”, is the oldest option, but you can also call Voila Norbert, FindThatLead or Skrapp.io. 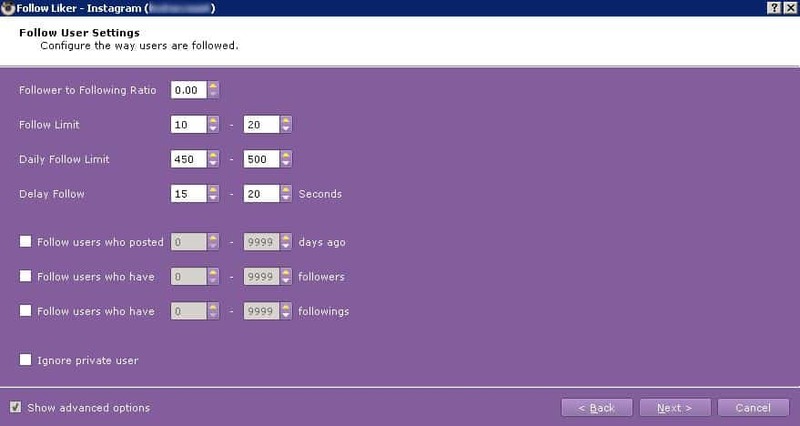 FollowLiker gives you the ability to automatically follow, unfollow, post messages or like targeted posts on Twitter, Instagram or Pinterest. Especially suitable if you want to grow one of those channels. Sadly, there is no such alternative for Facebook. For LinkedIn I would recommend DuxSoup or LinkedHelper, which I’ve also mentioned in this list. UsabilityHub is a great tool to get feedback from your colleagues on new design for UX and UI. You can set up simple quizes that are ideal to test the user-friendliness of your new or current designs by means of 5-second tests or preferrence-surveys. Every Growth Hacker must be able to build landing pages! 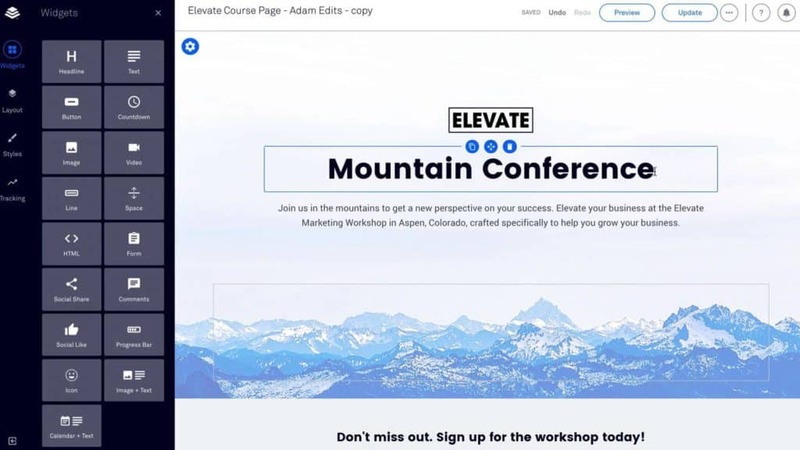 You can do that within your own website, or -if your development-team prefers not to give everyone access- you can use Instapage (or one of the many alternatives, such as Unbounce or Leadpages). I do not really have a personal favorite in this category, but I think a landing page tool should not be missing here in this list of growth tools. Everyone knows the Booking.com-warnings, like “Only 2 rooms left in this hotel”, “76 others are looking at this hotel right now” and “Someone from Amsterdam has just booked this room”. Very annoying, but it does works to be honest. We call that the scarcity-principle or “Fear Of Missing Out” and that is exactly what this eponymous company does for you: notifications and fomo-statements. I leave it to you whether you want to use it or not, but FOMO is “GDPR Approved” if you were wondering. Optimizely is an A/B-testing tool. You can see which variant of your website converts more people. The most common alternatives for Optimizely are Google Optimize, Visual Website Optimizer and Convert. LeadFeeder shows you which companies have visited your website which gives you the possibility to address these non-converting companies or better optimize your site for them. I can really recommend this as a growth hacking tool for B2B companies who are very sales-dependent. LeadFeeder can also automatically store this in your CRM and has a strong link with Zapier. Alternatives for LeadFeeder are Albacross and the Dutch Klue, which I as a dutchmen can really recommend. Hootsuite gives you the possibility to manage all your social media channels from one place. I know there are a lot of alternatives, such as Buffer, Later or even MeetEdgar, but Hootsuite is my personal favorite because of their free pricing plan. 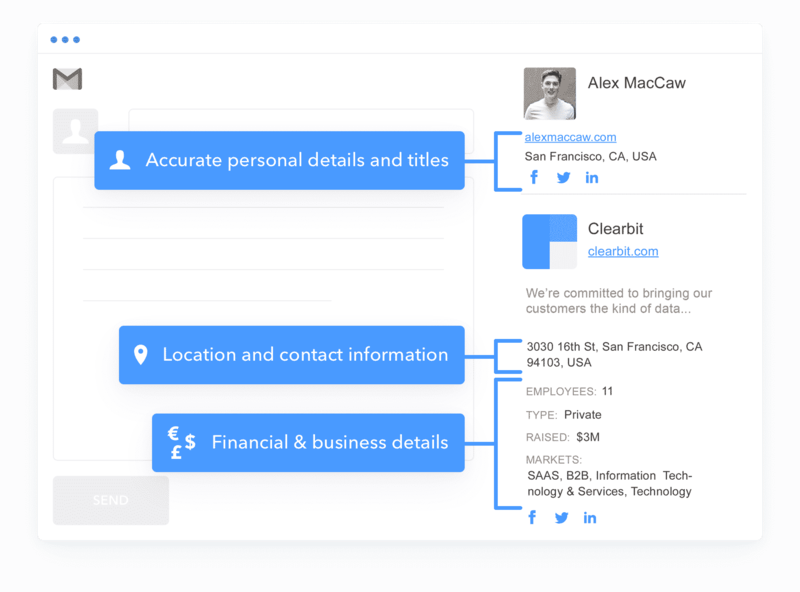 Clearbit enriches or ‘deanonimizes’ your user data. It might interesting to learn more about your current users or your leads, to discover who visited your website or to enrich your website with more intelligent variables. Believe me, it will amaze you when you see what Clearbit can do! Unfortunately they’re not cheap. Of course you have to send a lot of e-mails as an online marketer or growth hacker, so you will need an e-mail marketing tool. Mailjet is my personal favorite for that, because they collaborate so well with Zapier and offer the possibility for simple, personal e-mails as well as well-designed newsletters. Looking at alternatives, I’ve tried them all, such as Sendgrid, AWeber, Customer.io, Mailshake and of course Mailchimp. If my clients budget was large enough, I often preferred to choose Drip or ActiveCampaign due to their multichannel capabilities. In everything you do within marketing, you’ll have to write copy: copy for advertisements, copy for landing pages, copy for blogs, copy for social media posts or copy for emails. In my opinion, copywriting one of the most undervalued skills of a growth hacker. That’s why I use Hemingway and Grammarly for social media copy. 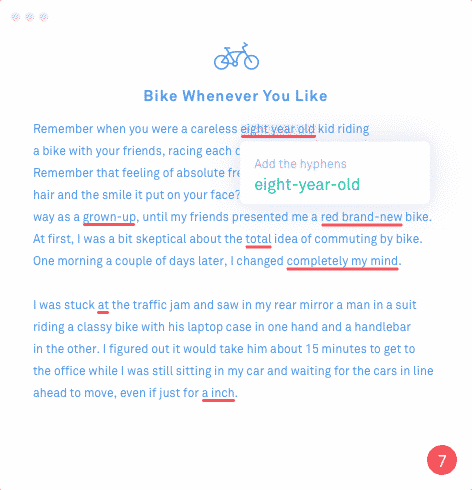 These are two chrome extensions that check all your texts in real-time for grammatical errors, language errors or spelling errors. Unfortunately, they only work in English, but nevertheless useful for all non-native writers in English. 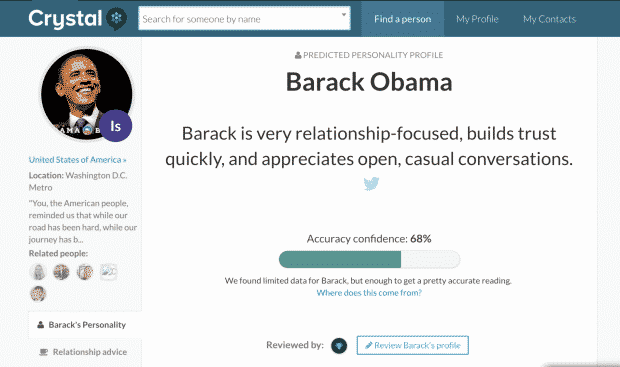 SumoMe, or nowadays simply Sumo, is one of the most well-known tools within growth hacking. Sumo gives you the possibility to place banners and other objects on your website to get more email subscribers. Very easy to use and very popular because you don’t need coding skills. Sometimes you’ve got some chores that you can’t automate with a growth hacking tool, but luckily you have Fiverr! It is not really a tool, but certainly a nice resource for any (growth) marketer. On this website you’ll find freelancers from all over the world for any task you need to get done. Think of filling in long spreadsheets, transferring an illustration to Sketch or animating your company logo. Everything is possible and it is often very cheap, because freelancers in other countries never need as much as freelancers in the western world. 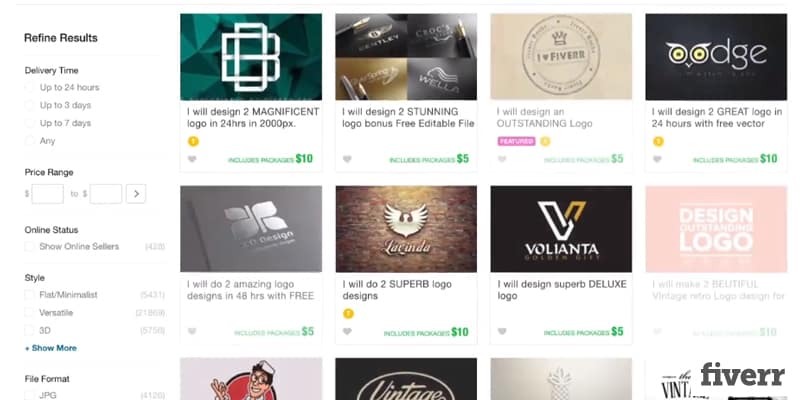 You can also check out UpWork as an alternative. Drift is a free chat tool for your website. If you have a bit more budget, you might prefer Intercom, or if you prefer to combine it with your social media, you can now also put a Facebook Messenger Chat directly on your website. Tawk.to is another free alternative. 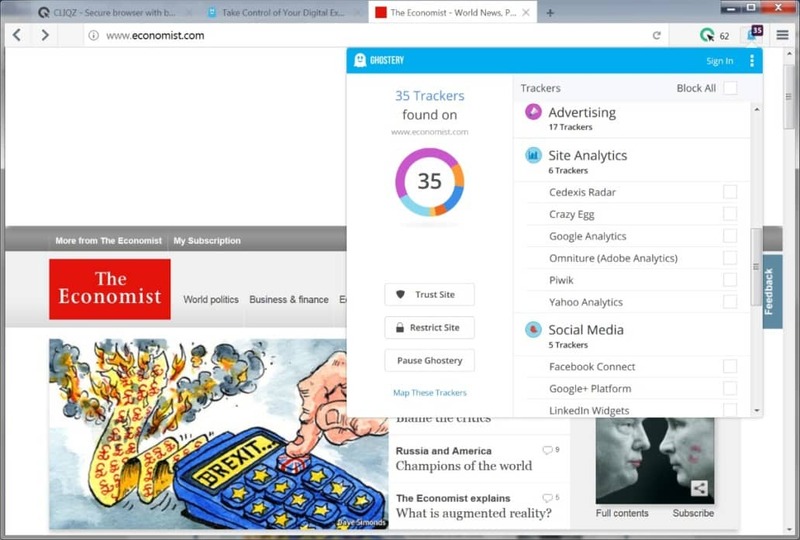 Ghostery is actually meant to block tools that try to track your behavior on the web, but I (and many growth hackers with me) use Ghostery to see which tools a website uses. It is very interesting to look through this chrome extension and to see, for example, which tools your competitor or upcoming client already uses! As a Growth Hacker (or as an Online Marketer), you will often have to design something, such as an image for a social media post or a visual for your website. 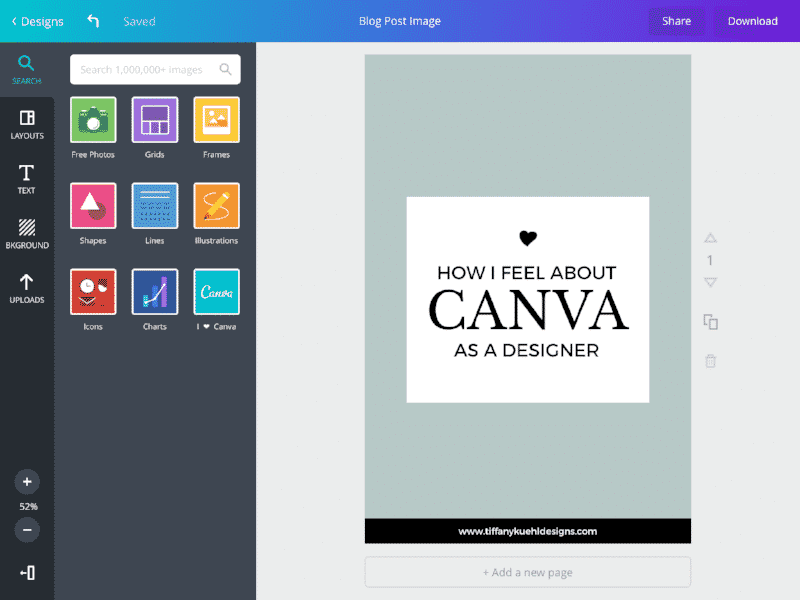 I use Canva for that! This is the tool that I use most of all, because it makes it easy to create or create visuals. From now on you never have to bother your designer for small tasks or when you are in a hurry. This tool should not be missing in your arsenal of growth hacking tools. The most famous growth hacking examples consist of ‘referral programs’, whereby your current customers will act as ambassadors and bring in their friends as new users. Think for example of the growth hacks of PayPal and Dropbox. Viral Loops gives you everything you need to set up your referral program. You could also take a look at Referral Candy or Maître. ‘Scraping’ is one of the growth hacking skills that most people get most excited about. Import.io is one of the first webscraping tools and makes it possible to convert any data from the web into spreadsheets. Very interesting so if you have to do large-scale work. As I often say in this list, it is important to save yourself time. That is why Calendly is a commonly used tool among growth hackers and startup-entrepreneurs. 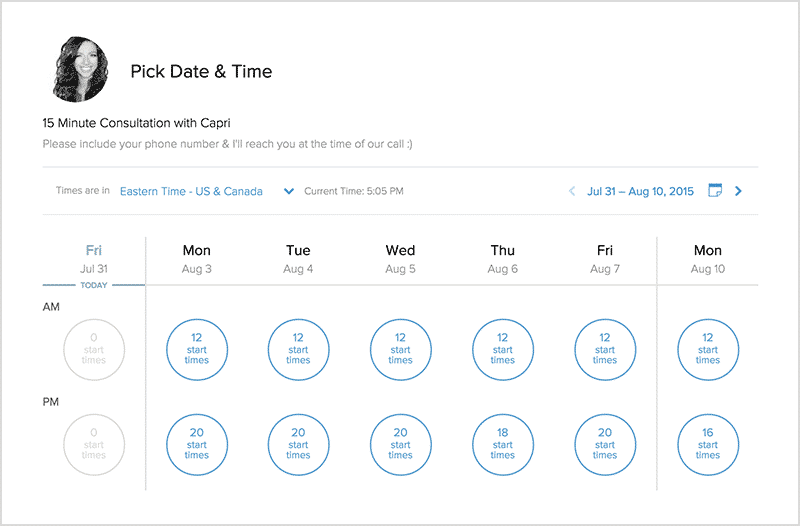 Calendly gives your potential customers the opportunity to immediately schedule an appointment in your agenda. This way you don’t have to email back and forth to plan an appointment and your sales calls automatically appear in your diary. Google Tag Manager gives growth hackers and online marketers the capabilities of a developer without bothering the developer. Once you have installed GTM, you can use it to, for example, install other tools in the code of your website or you can track user interactions and automatically forward this data to Google Analytics or Mixpanel. MixMax is a great friend for many sales people and growth hackers. MixMax is an extension of your Gmail and gives you insight into your sent e-mails: Has the recipient already opened it? Has he / she already viewed the attachment or the link? Has the mail already been forwarded to the supervisor? Very useful! In addition, MixMax also gives you the opportunity to make your e-mails a lot fancier, to schedule them to send later and to use templates. LinkedIn Prospector is a Google Spreadsheet Add-on, which gives you the possibility to automatically find and retrieve LinkedIn profiles based on name, title and / or company. GrowthHackers.com has its own category for growth hacking tools. BAMF Facebook group is a community of Growth Hackers. If a new tool comes up, you will see it here quite quickly. Or have a look through my growth hacking blog and my favorite articles, where you’ll also find more tools and growth hacking tactics. Ward van Gasteren is one of the first Growth Hackers in Europe. 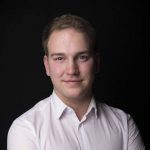 As a growth hacking consultant he helps businesses to implement Growth Hacking. Accenture called him “one of the most talented people in the Dutch tech-scene”. You’ll find him often as a growth hacking speaker on stage or as a startup-mentor at StartupBootcamp, StartupWeekend and Aimforthemoon.